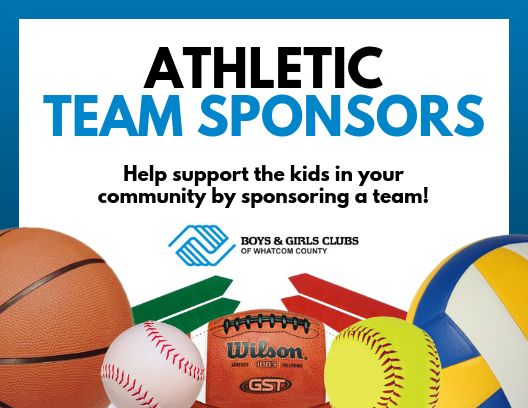 Welcome to the Boys & Girls Clubs of Whatcom County athletic department. We run five different sports throughout four athletic seasons. Youth can participate in baseball, fastpitch, flag football, volleyball and basketball. Thanks to athletic sponsors and volunteer coaches we provide character building experiences for thousands of Whatcom County youth each year. At the Boys & Girls Clubs, we strive to help all young people reach their full potential as productive, caring, responsible citizens. All donations help us fulfill that mission, but a team sponsorship does something particularly special. It tells kids, their families, and the rest of the county that you see our young athletes, and their sport, as worth supporting. There’s nothing quite like a sport to encourage the development of a child. The lessons you learn on the court or field stay with you into your adult life. The ability to face adversity, work as part of a team, and be gracious in both victory and defeat allow our kids to become leaders of the future. We ask you to support the growth and empowerment of our youth. If you’re interested in sponsoring, or in learning more, you can fill out our Sponsorship Form or contact Kaleb Ode; Athletics Outreach Coordinator.